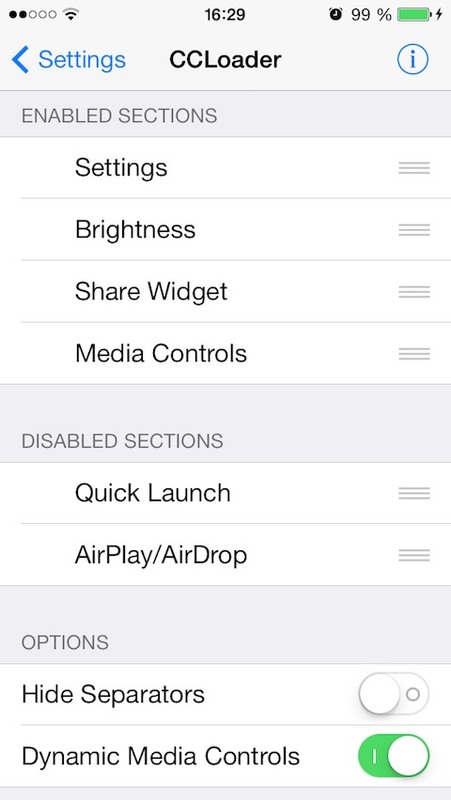 CCLoader allows you to reorder and disable sections in the Control Center to fit your needs. Separator lines between sections in Control Center can be removed and media controls can be set to only show up when media is playing. Notification Center widgets can also be added to Control Center with CCLoader! CCLoader also acts as a developer utility. 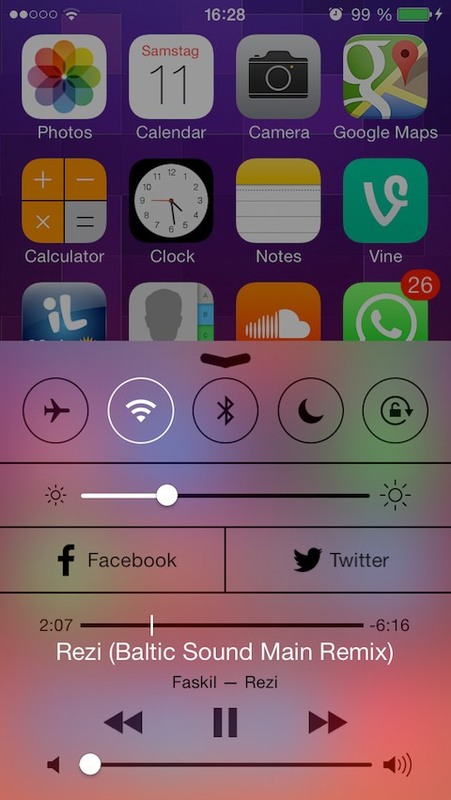 Developers can create custom Control Center sections that are loaded into Control Center by CCLoader. This project is open source, to check out the source code and to find out how to build custom Control Center plugins visit CCLoader on Github. • iOS 8 bug fixes. • Removed potential crash in v1.2.8.